Choo Choo! All aboard the design train. 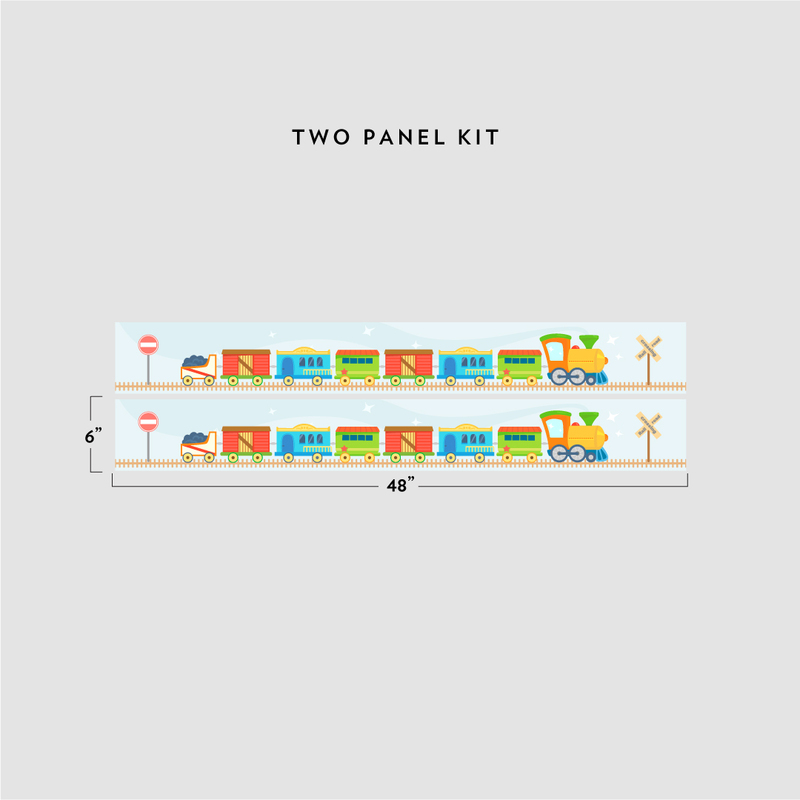 This cute and fun train wallpaper border will take you to new destinations and beyond. 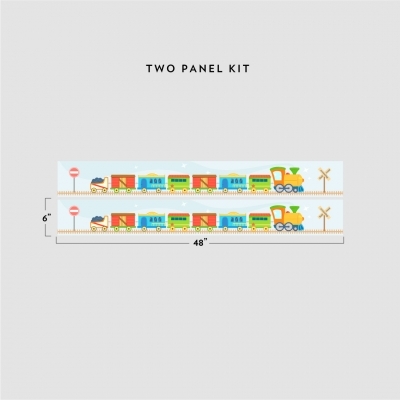 Add even more stops to your route with our Choo Choo Train Wall Decal. Wallums removable wallpaper borders are "peel and stick" and require no paste or glue. Installation is as simple as peeling the panel from it's backing sheet and sticking it to your wall. Our special self adhesive fabric material will not tear or crease and can be repositioned many times. When you are ready to remove the design, just simply peel off the children's wall border!